Science or Snake Oil: Do Skinny Teas Boost Weight Loss? Weight-loss teas are becoming common, with advertisements claiming dramatic results. Do the big promises match the results, or do they only match the price tag? A search of the medical research database PubMed found there are no studies specifically on the use of “slimming teas” for weight loss, but there are studies on green and black tea. One review of five research trials compared changes in body weight in more than 300 adults at high risk of Type 2 diabetes and heart disease. They gave people either green tea, a fermented tea called pu-ehr, or tea extracts, and compared the weight change to that in people who were given either placebo tea extracts or no tea at all. They found that the tea or tea extracts correlated with a weight reduction of about 4 kilograms (8.8 pounds) in the group of people who had the most risk factors for Type 2 diabetes and heart disease, and who also ate more healthy foods and exercised more. In the group who were not given healthy lifestyle advice and who did not have many risk factors, the average weight loss was only about 350 grams (.78 pounds). These results suggest most of the weight loss was due to the impact of following the healthy lifestyle advice. There may also have been extra motivation to stick to that advice among those who were at high risk of other health problems. An analysis of six studies examined the effect of tea mixtures that contain added catechins (a chemical compound found in tea that have a bitter flavor) and caffeine or caffeine-only supplements on the body’s energy expenditure. They found that both significantly increased the amount of energy the body burns over the day, by approximately 5 percent. That may not sound like much, but it’s equivalent to about 103 calories per day, or the calories in a medium-size banana. 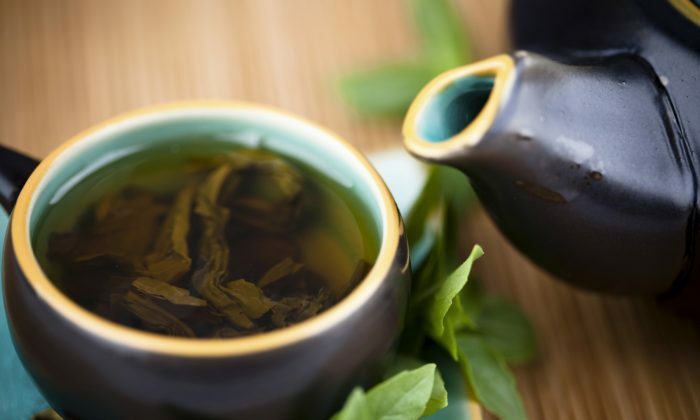 In another review of the effects of green tea and added tea extracts on body weight regulation, consuming green tea with the tea extract added was associated with a 1.3 kilogram (2.9 pound) greater weight loss compared to not consuming them. Slimming teas can have herbal tea components, herbal extracts, or other additives mixed in with the tea. There’s limited high-quality research on the effectiveness of these compounds, although some have been around for decades. But there has been a report of heart failure triggered by using herbal weight-loss tea that was thought to have illegally contained weight-loss drugs known to cause heart problems, so caution must be exercised. Yerba mate, a plant common in South America. The leaves are used to make a drink high in polyphenols, a group of compounds found in plants that help the body defend itself against disease. A recent review suggests it may be helpful in lowering blood cholesterol levels. Dandelion leaf, which contains chemicals thought to have a diuretic effect, but there’s no strong evidence to support this effect. Celery seed, which can be used as a spice or flavoring. The active ingredient apiole has been thought to have anti-cancer effects (in mice). Calendula, an edible flower. A review of their medicinal use throughout history found potential wound-healing and anti-swelling properties. As long as you do not have any sensitivities or a chemical intolerance to slimming tea components, they might have a powerful placebo effect and act as a timely reminder to stick to a weight-loss diet. The placebo effect has been supported by evidence. Think about whether you can get better value from more than $30’s worth of weight-loss tea, or from buying regular green or black tea and spending the difference on more fruits and vegetables. The research indicates that a higher intake of fruit and vegetables is associated with a lower risk of weight gain, heart disease, Type 2 diabetes, some specific types of cancer, and age-related health decline. Clare Collins is a professor in nutrition and dietetics at the University of Newcastle in Australia. This article was originally published on The Conversation.